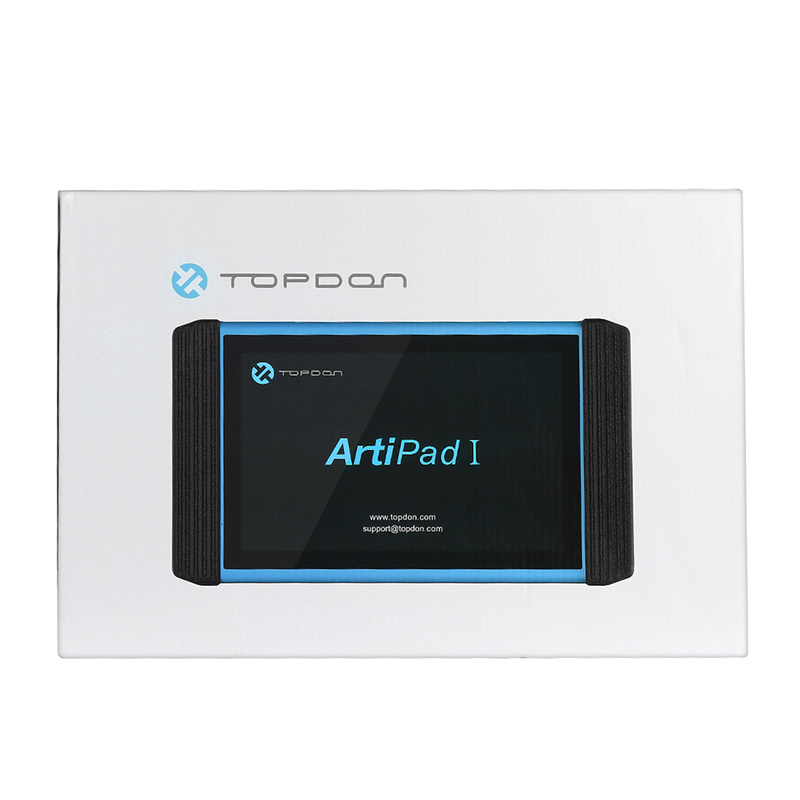 Topdon ArtiPad 1 Diagnostic Tool Support Multi-meters/Battery Test/Oscilloscope/Endoscope and one click online update free for 2 years. 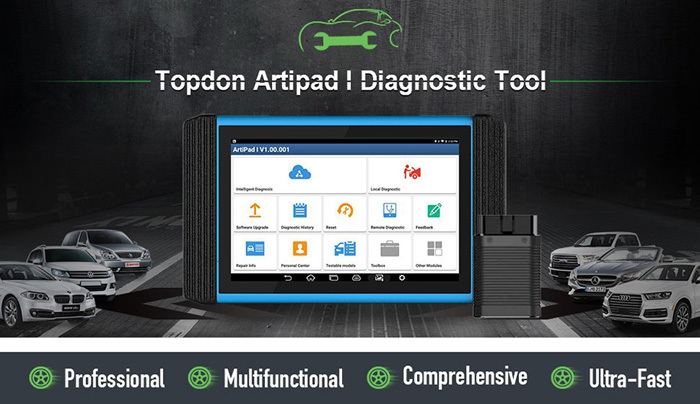 Topdon ArtiPad I is an evolutionary smart solution for car diagnoses based on the multitask-capable Android operating system. 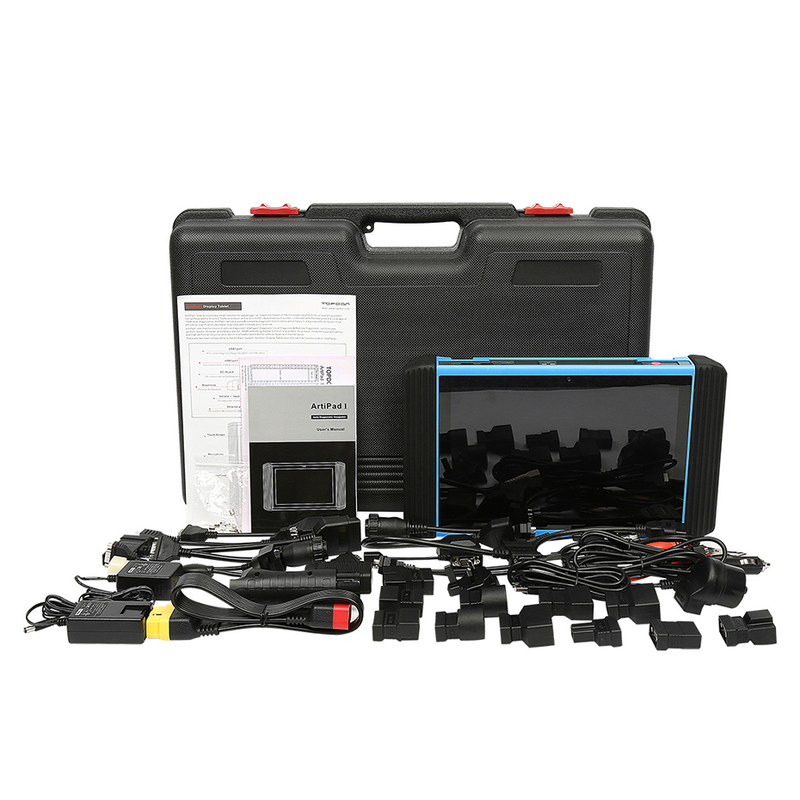 This diagnostic tool delivers quick and complete diagnoses to solve problems more efficiently, significantly decrease downtime and increase revenue. 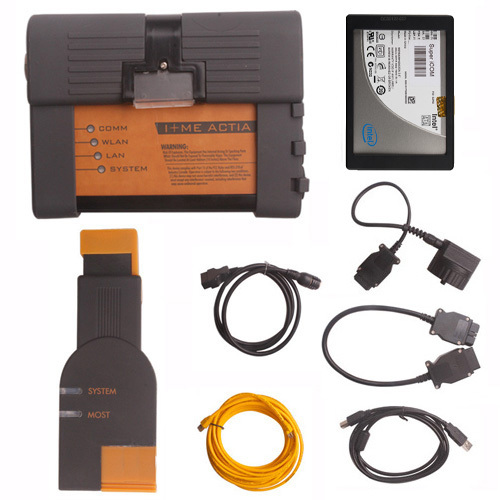 With VCI device, this diagnostic tool is capable of ECU programming for Benz, BMW, VW, GM, Audi and Ford; access to instant Remote Control Tech Support for operation anytime and anywhere. 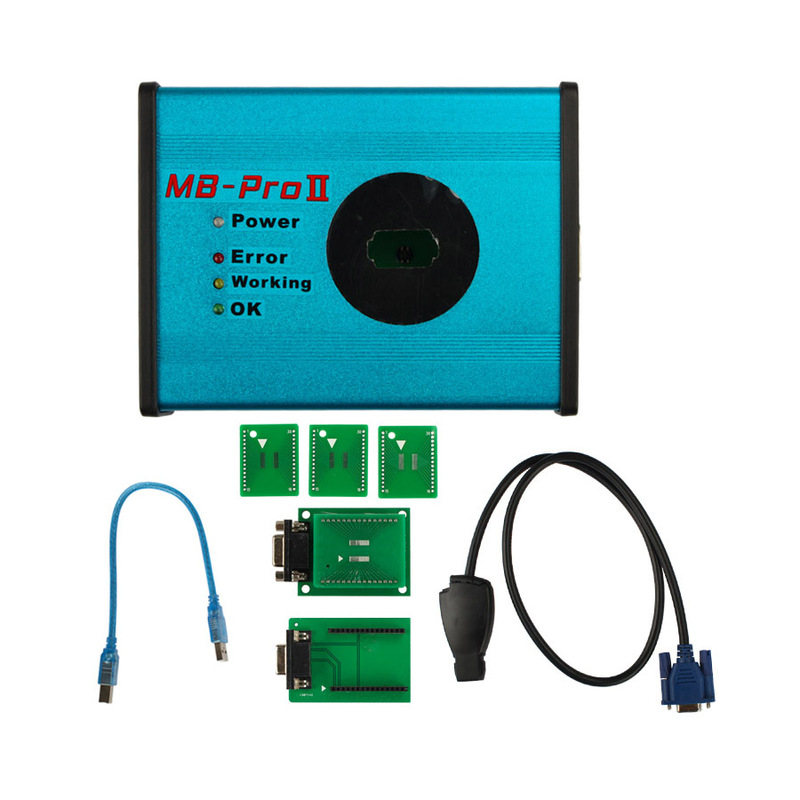 This exceptional OE-Level functionality diagnostic scanner is available for over 80 1996 US-based, 2000 European-based and newer OBD2 protocol vehicles with full OBD2 functions, 11 special services and full systems diagnoses. 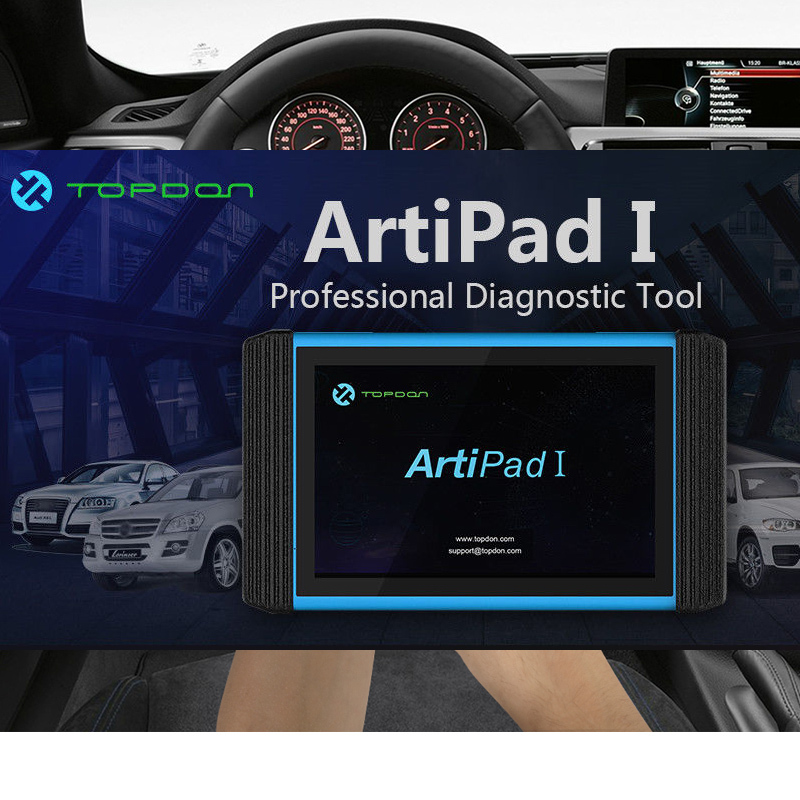 Worked with Scopebox and Videoscope of Topdon , this auto scanner provides users with an insight to the inner work of a vehicle's electronic circuits. 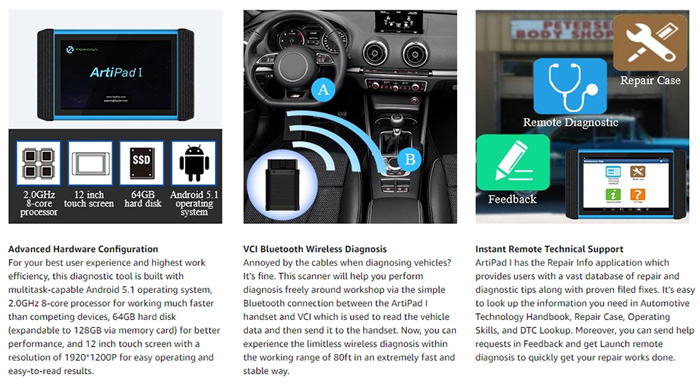 This diagnostic tool supports first-hand troubleshooting of diagnostic bugs and errors, and one-stop multitasking design for ideal management of workshop operations to keep all data files, customer information, and vehicle records well organized. 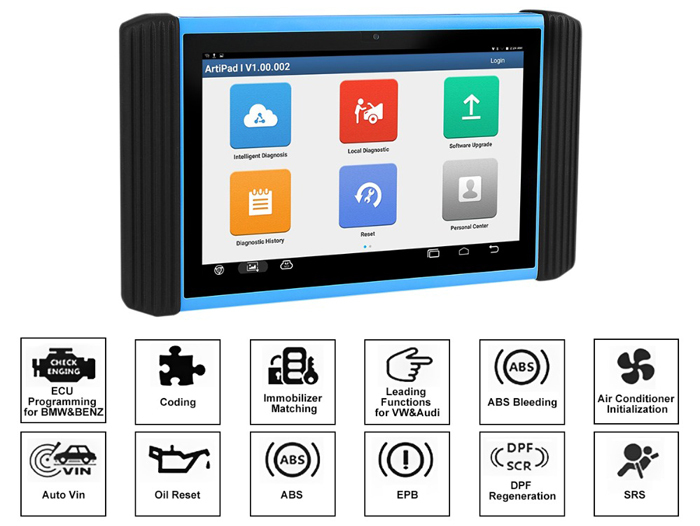 With rubberized outer protection and a rugged internal housing, this diagnostic scanner is sturdy and durable. 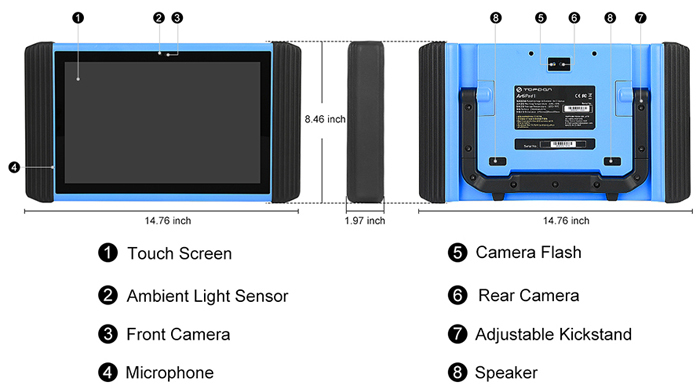 12-in touch screen enables several wavelike data comparison on which a malfunction will stand out. 1. 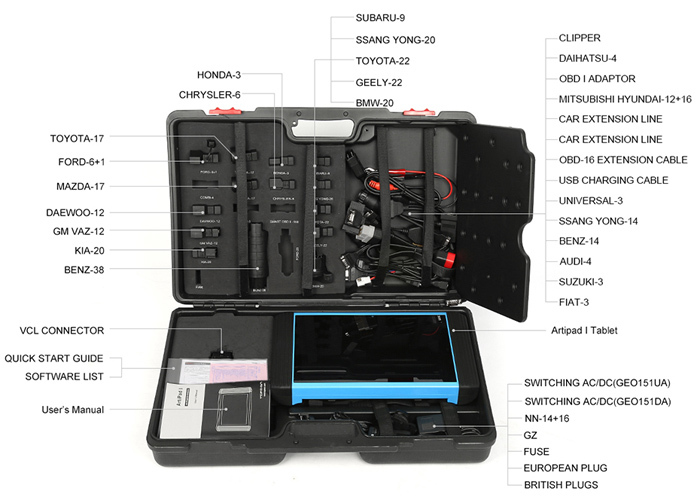 Exceptional OE-Level functionality from comprehensive OBD2 diagnostics & services to advanced ECU coding and programming. 2. Interactive Data Logging sessions enable direct contact with professional tech support for first-hand troubleshooting of diagnostic bugs and errors. 3. Unparalleled sensor coverage for most vehicles worldwide. 4. Reads data including sensor ID, tire pressure, temperature, battery condition, OE part number, relearn information. 5. Checks Remote Keyless Entry (Key FOB) for transmissions. 6. 12 inch big screen enables multiple data comparison to easily analyze results. 7. 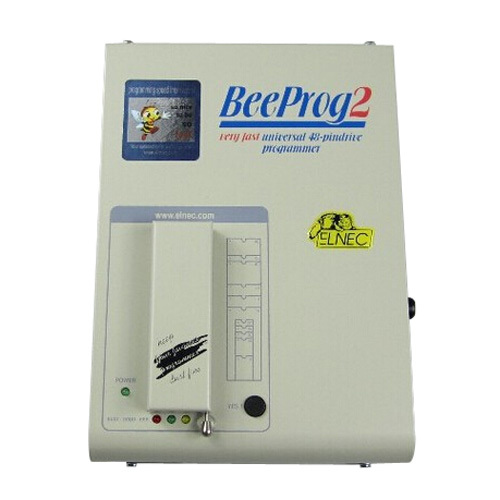 Pre-selection process offers you faster activation and diagnostics. 8. Proper LF signal to prevent being fooled by other RF signals. 9. Save up to 10 TPMS records for future data review. 10. Automatic power-off to preserve battery life. 11. Modular design allows for future capability expansions. 12. Small 5.5mm diameter head allows it to be used in the tight spaces. 13. Wonderful up-close visual inspections in confined areas, such as engine cylinders and small part inspections. Q1. Is Portuguese language standardized? 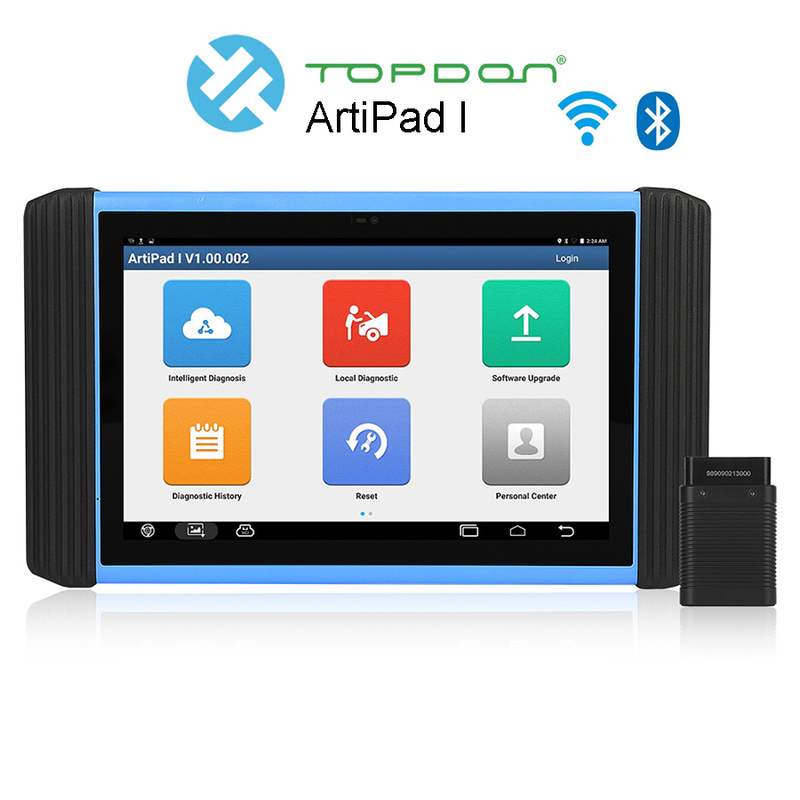 A1: AIRTPAD1 is based on the original diagnostic instrument development, coverage for Portuguese basically reached 90%. Q2. 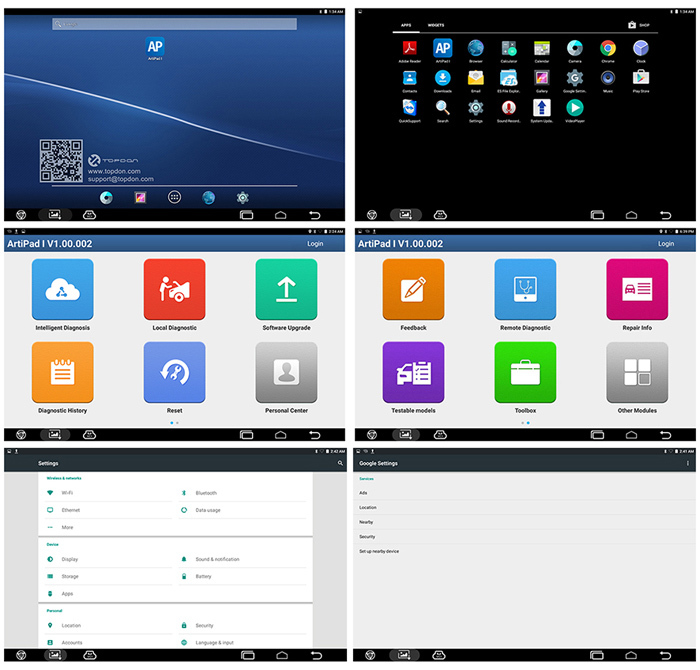 Is the software better than Autel software? Q3. 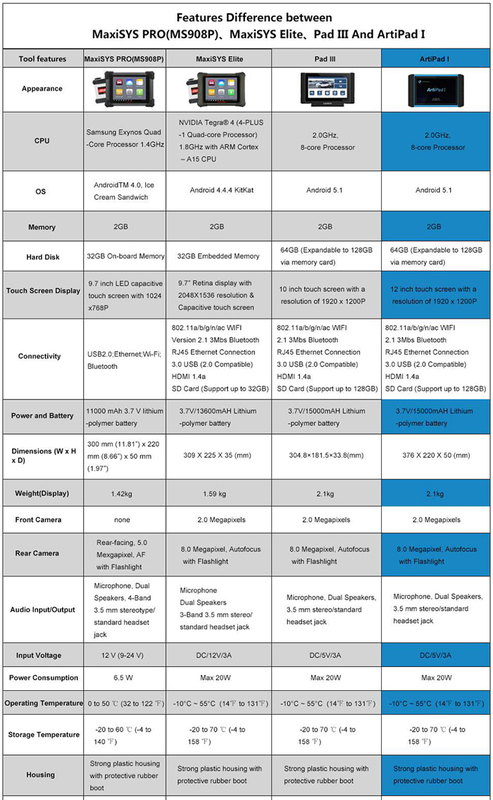 What is the upgrade costs after 2 years? 1. Please close antivirus software when updating software. 2. BMW F Series programming needs Launch programming cable which is not in the package.